The U.S. Navy Flight Demonstration Squadron, better known as the Blue Angels, showcase the pride and professionalism of the United States Navy and Marine Corps. 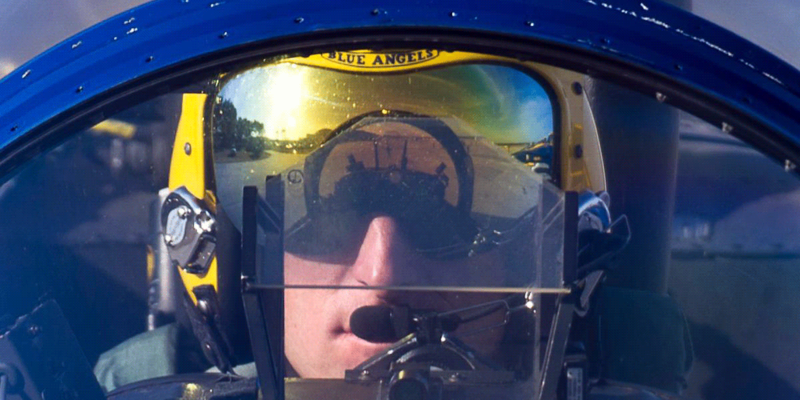 The Blue Angels exhibit choreographed refinements of skills possessed by all naval aviators. The Blue Angels’ C-130, affectionately known as Fat Albert, begins each demonstration by showcasing its maximum-performance capabilities during a ten-minute performance. Shortly thereafter, you will see the graceful aerobatic maneuvers of the four-jet Diamond Formation, in concert with the fast-paced, high-performance maneuvers of two Solo pilots. Finally, the team illustrates the pinnacle of precision flying, performing maneuvers locked as a unit in the renowned six-jet Delta Formation. Blue Angels Awards: ICAS Sword of Excellence (2007).